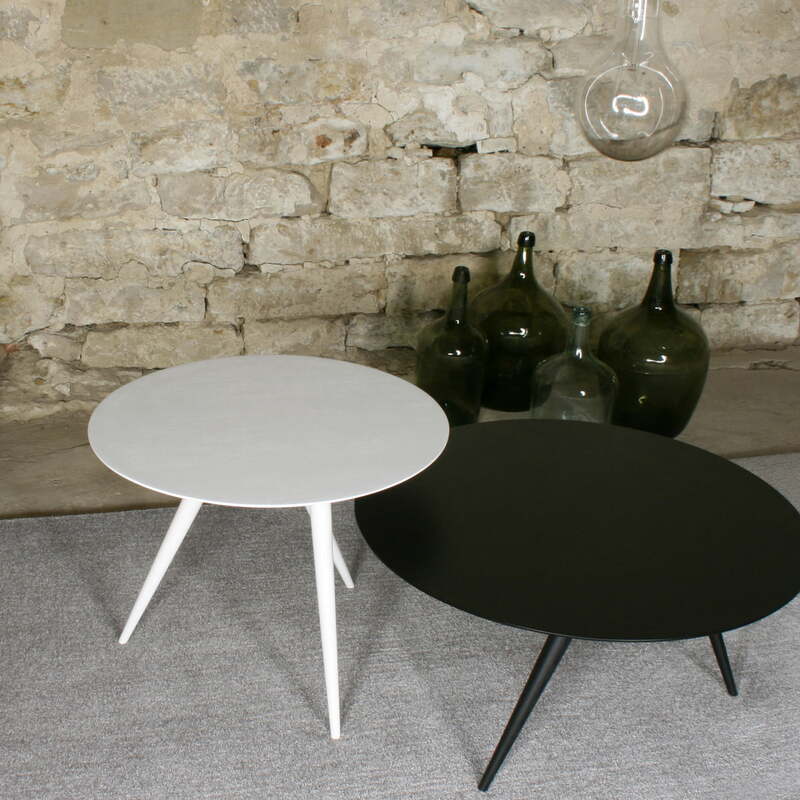 The Turn table by Maigrau refers to the archetypal shape of the side table. 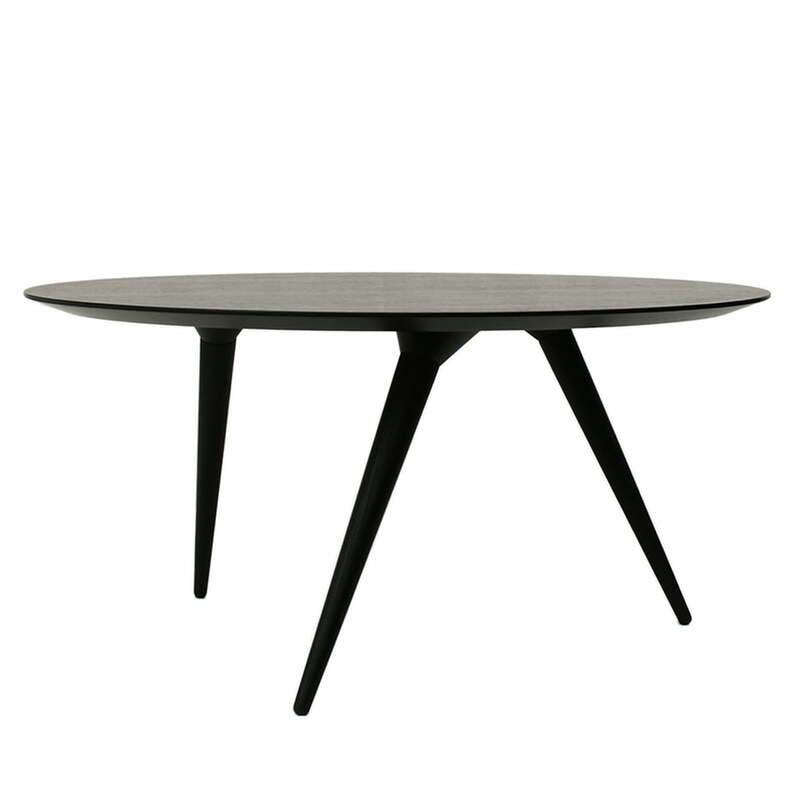 The table convinces with a classic design and high class materials with its round table top and the conical legs. The weightless rotation of the conical table legs adds a twist to the otherwise classic side table, which is the reason why this one is very special. 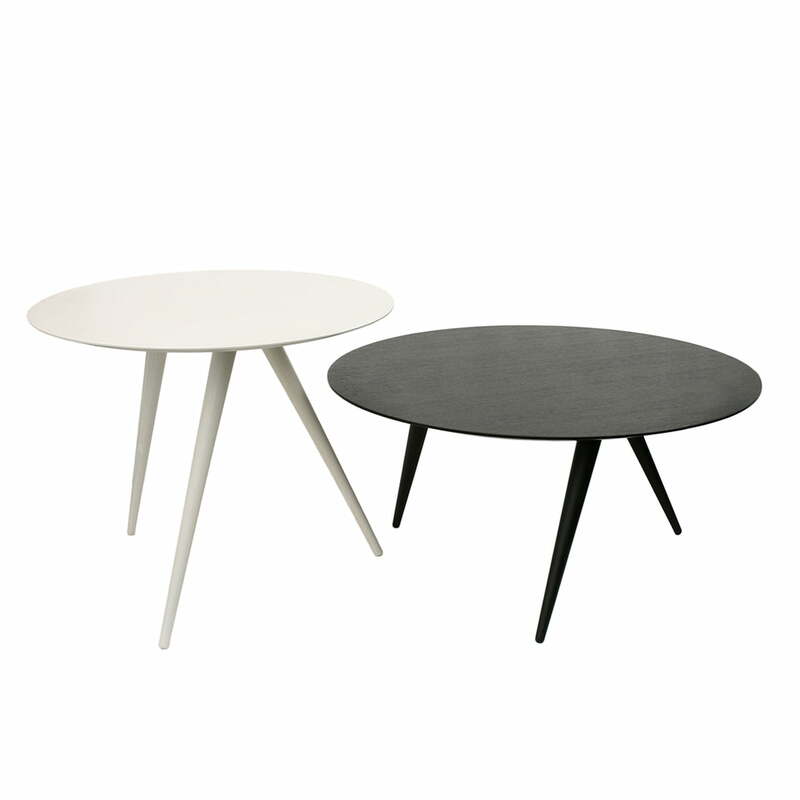 The Turn side table by Nik Back & Alexander Sandberg is available in two different sizes. Alone or as a group, the tables can be installed in the most different rooms. 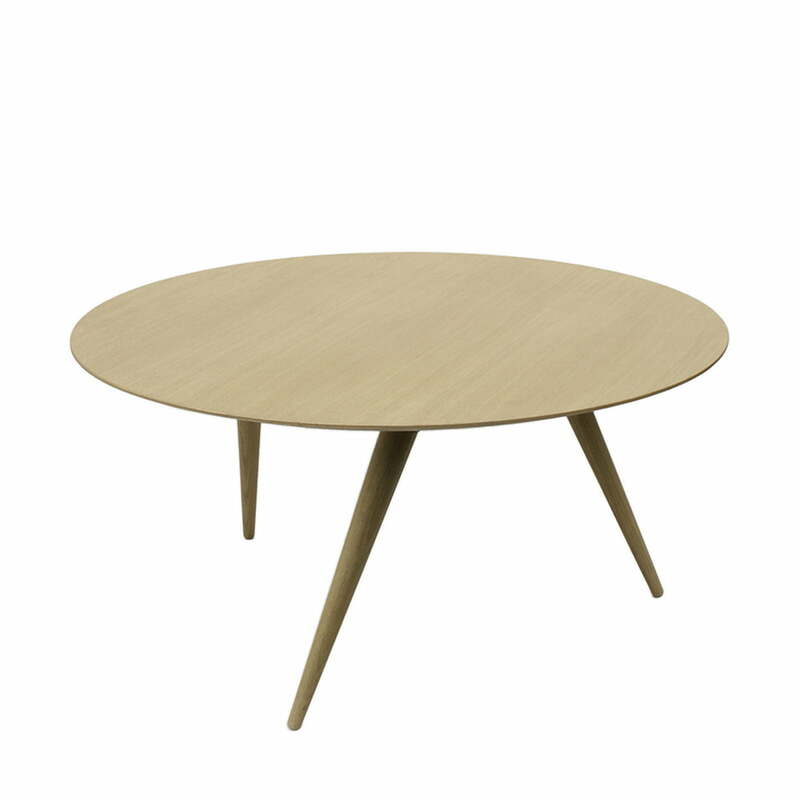 The table top of the lower Turn coffee table has a diameter of 68 cm and a height of 33 cm. The table has a table top of 55 cm and a height of 43 cm as higher version. The Maigrau tables are available in different colours with tops in white or black, oak or natural ash and a suitable base of massive ash or oak wood. The TURN LOW coffee table and the TURN HIGH side table by Maigrau made of solid oak or natural ash, or with different paintings. The design by the German designers is special and unique. The slight rotation of the tapered legs of the TURN table by Maigrau adds a twist to the otherwise classic table and makes it a special one for the living room. The TURN side table by Nik Back & Alexander Stamminger is available in two different sizes, which fit in different room situations alone or in a group. The table top of the TURN LOW side table has a diameter of 68 cm and a height of 33 cm. 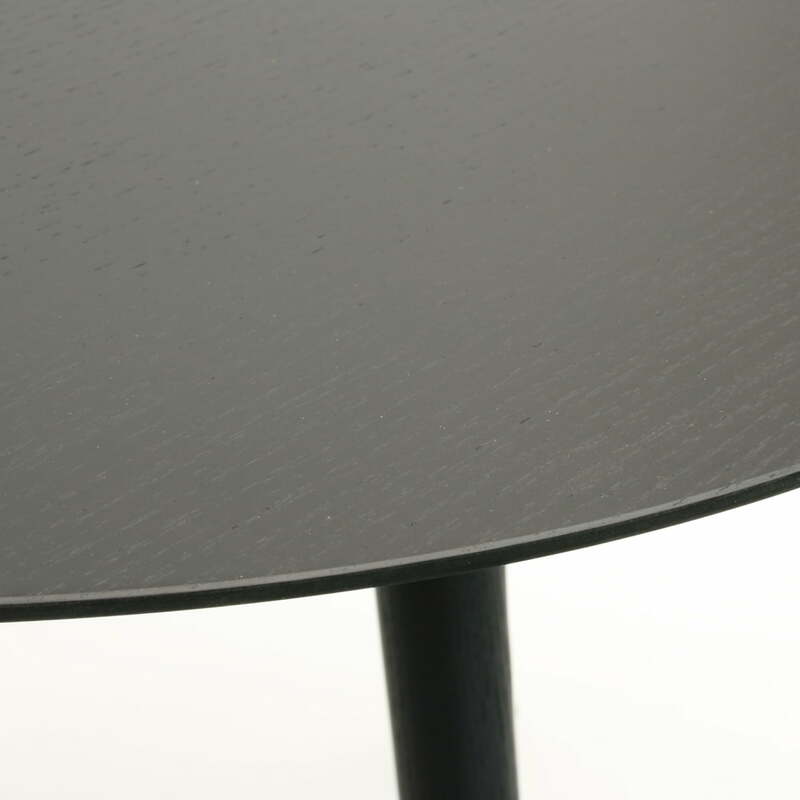 The table top of the TURN HIGH side table has a diameter of 55 cm and a height of 43 cm. 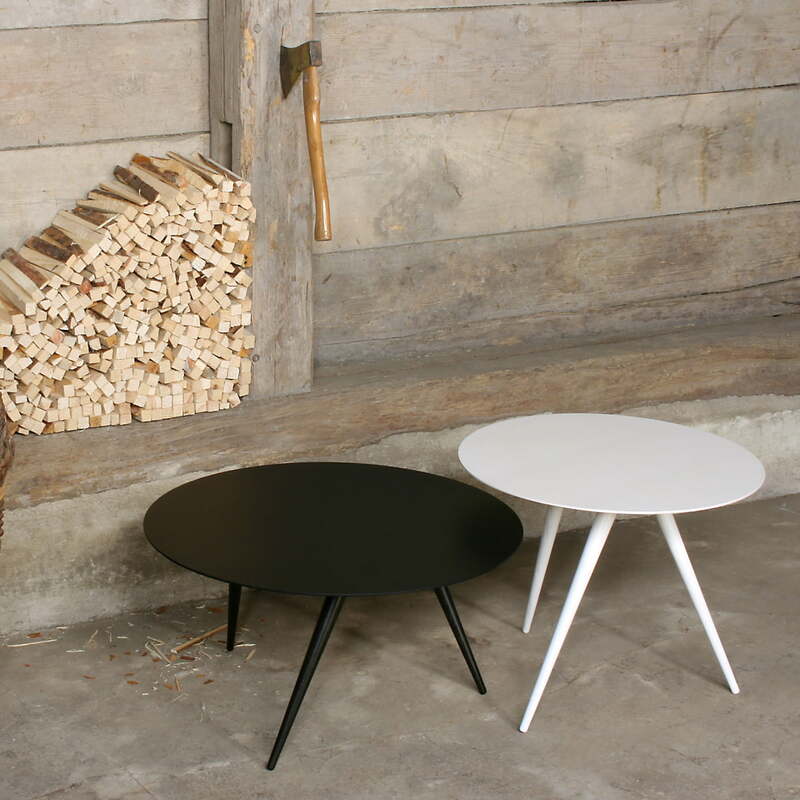 Both the coffee table and the side table by the German company Maigrau are available made of solid ash wood in natural, painted black and white painted or natural oak. The TURN side table by Maigrau is reduced to the high class processed oak or ash wood and the clear, round shape of the table top, becoming a classic and also cool table. 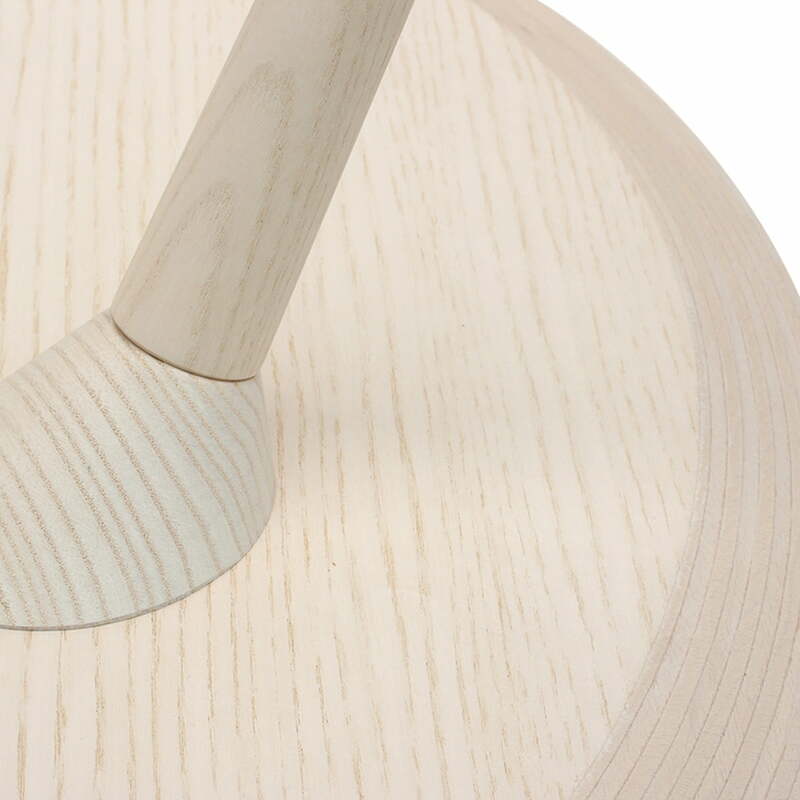 Detail image of the bottom and the fixing of the slightly turning, conically ending legs of the wooden TURN table by the German manufacturer Maigrau in white lacquered ash. The TURN by Maigrau is reduced to the high class processed wood and the clear, round shape of the table top, becoming a classic and also cool table with conical legs in an unusual angle. Whether alone or in a group, the LUCA by Maigrau is available in a wide variety of colours and therefore a true eye-catcher which perfectly suits the TURN LOW coffee table of the same manufacturer.